Copper futures were trading lower in the domestic market on Monday as speculators cut down their bets amid subdued demand at spot markets. Analysts said copper prices fell in line with a weak trend in industrial metals following sluggish demand from consuming industries at the domestic spot markets. 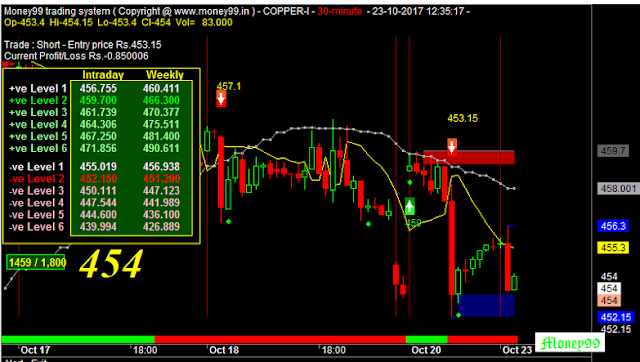 At the MCX, copper futures for November 2017 contract was trading at Rs 454.50 per kg, down by 0.22 per cent, after opening at Rs 455.10, against a previous close of Rs 455.50. 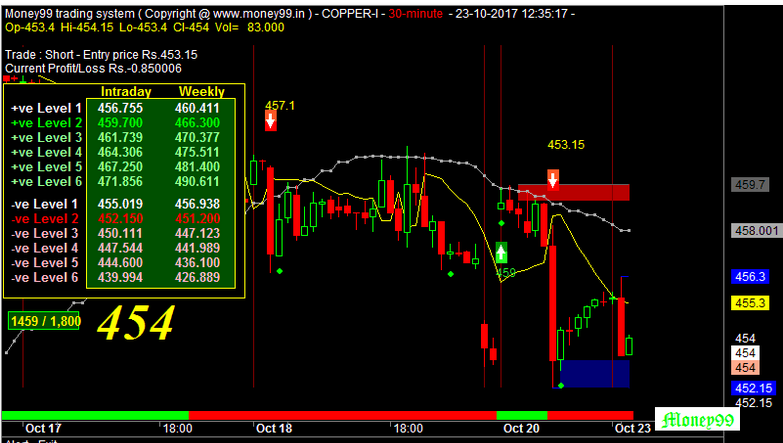 It touched the intra-day low of Rs 454.20 (at 12:20 hours).